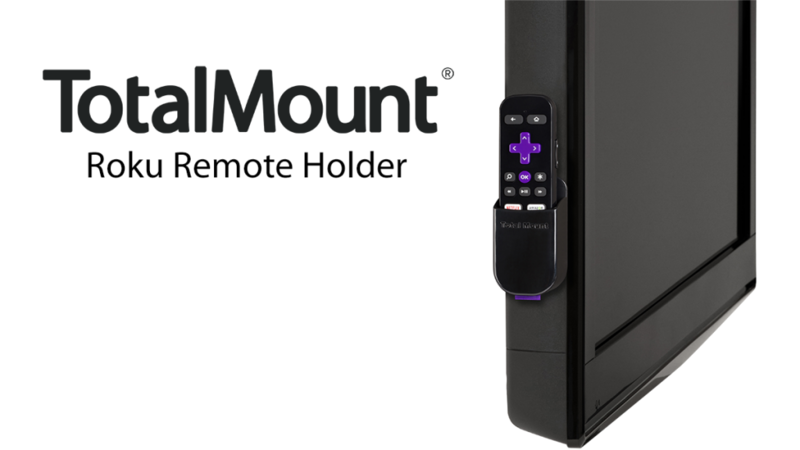 Keep your TV and media-player remotes ready for action with a TotalMount remote holder. Providing a consistent “home” for your TV remotes means you’ll always know exactly where to find it. (2) wall mounting screws (included). 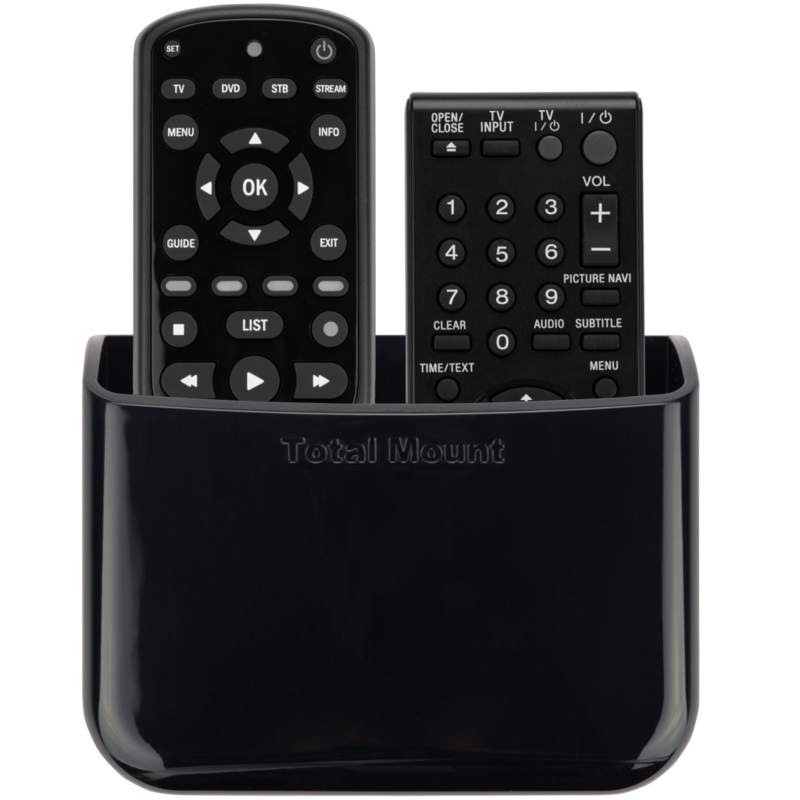 Designed to fit almost any TV-related remote on the market: television, cable TV, satellite TV, DVR, DVD, VCR, Blu-ray, media-players, and many more. Never lose your media-player remote again. 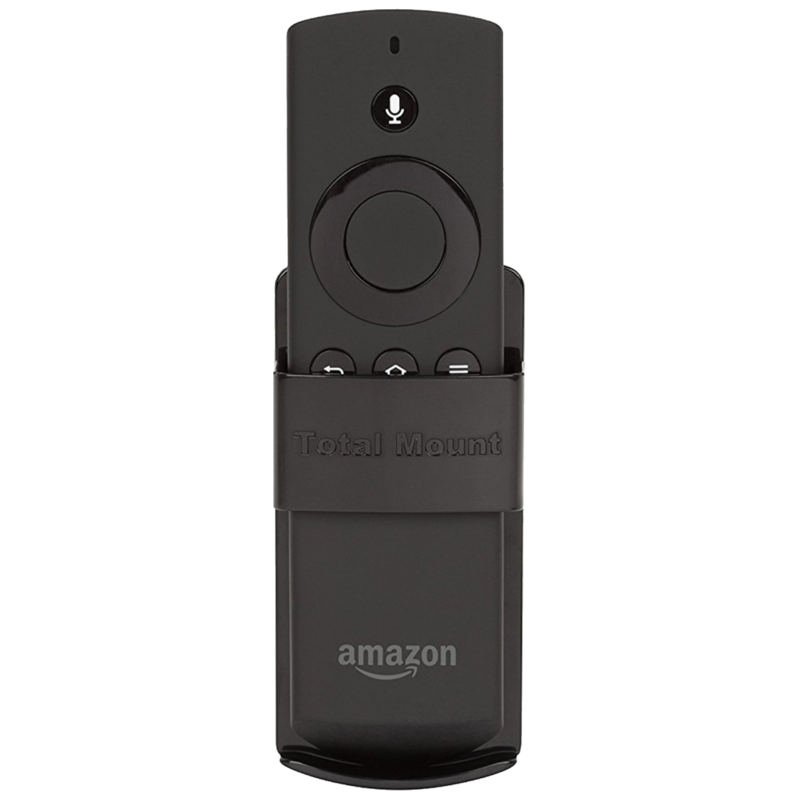 Our TotalMount media-player remotes are precision-designed to perfectly fit your remotes for Apple TV, Fire TV, and Roku. 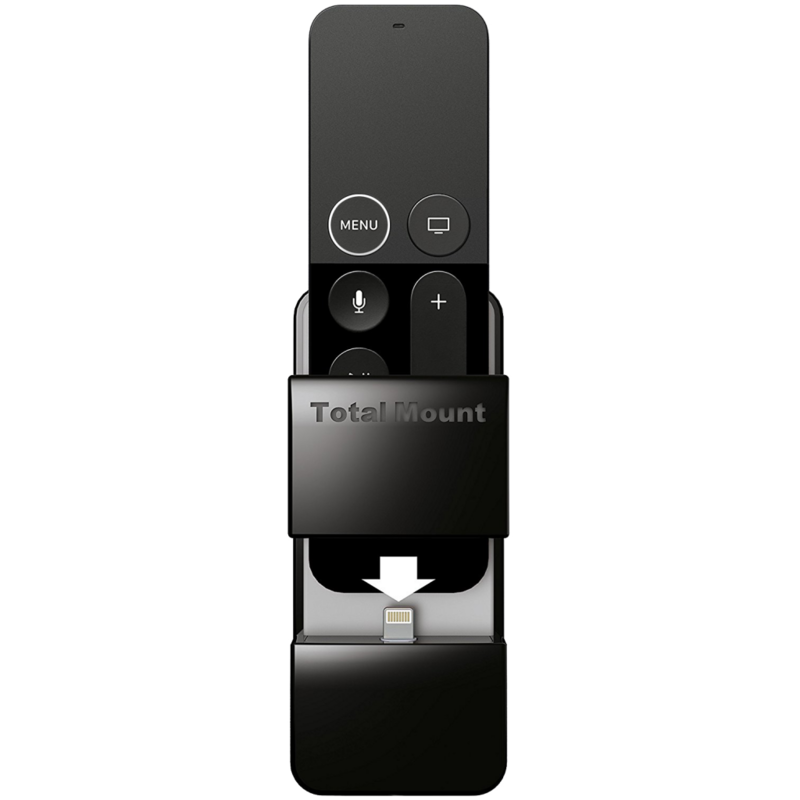 Keep your Apple TV remote charged and ready for action with our TotalMount Apple TV Remote Holder. 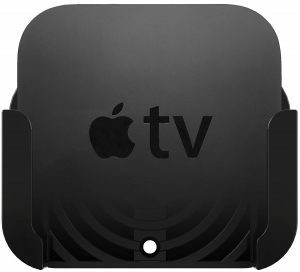 Lined with a soft rubber material to avoid scratching your glossy Apple TV remote. Uses the Lightning cable included with new Apple TVs to charge your remote from your TV’s USB port. The perfect “home” for your Fire TV remote. Provides a consistent “home” for your Fire TV remote so you’ll always know where to find it. A special adhesive allows for mounting on the side or back of your television. The adhesive also works on most furniture and walls in your home. 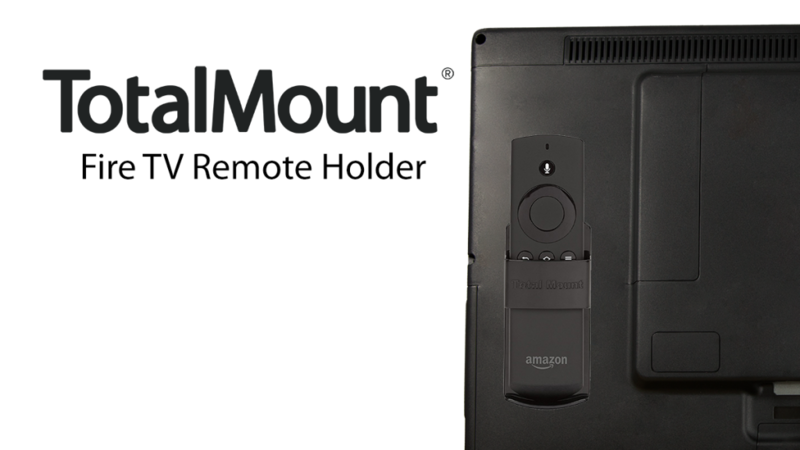 Keep your Fire TV remote ready for action with a TotalMount Fire TV Remote Holder. 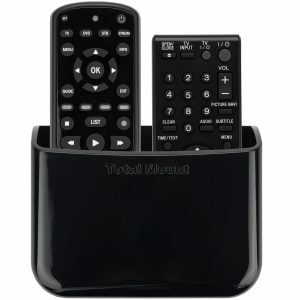 Specially designed to be compatible with all Fire TV remote models. A perfect fit for your Roku remote. Specially designed to perfectly fit all Roku remotes. Provides a safe “home” so you’ll always know where to find your Roku remote. Our special adhesive attaches easily to your television, furniture, and walls in your home. Keeps your Roku remote ready for action. 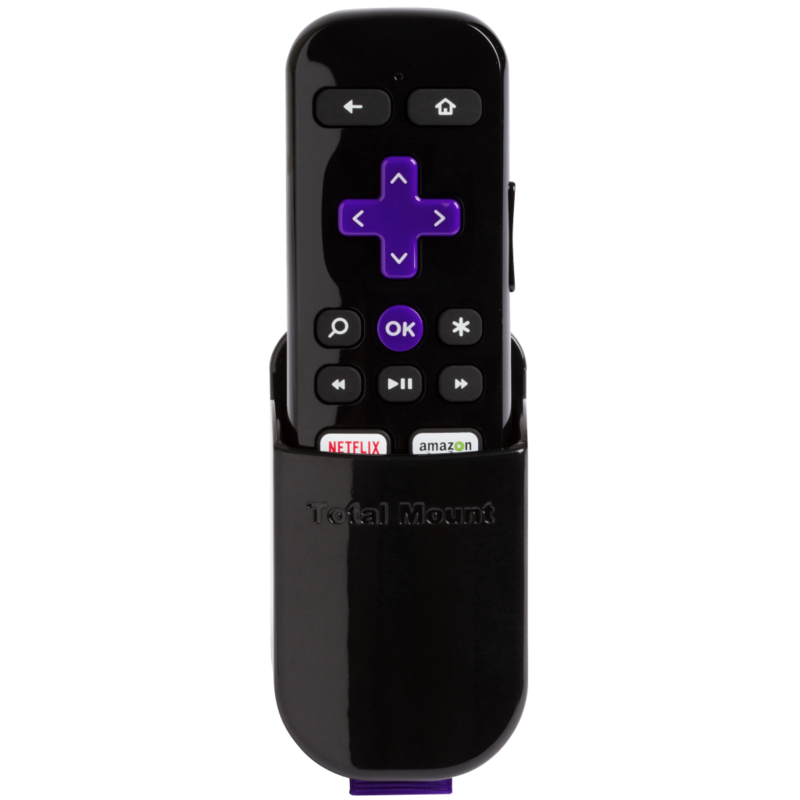 Compatible with all versions of Roku remote.